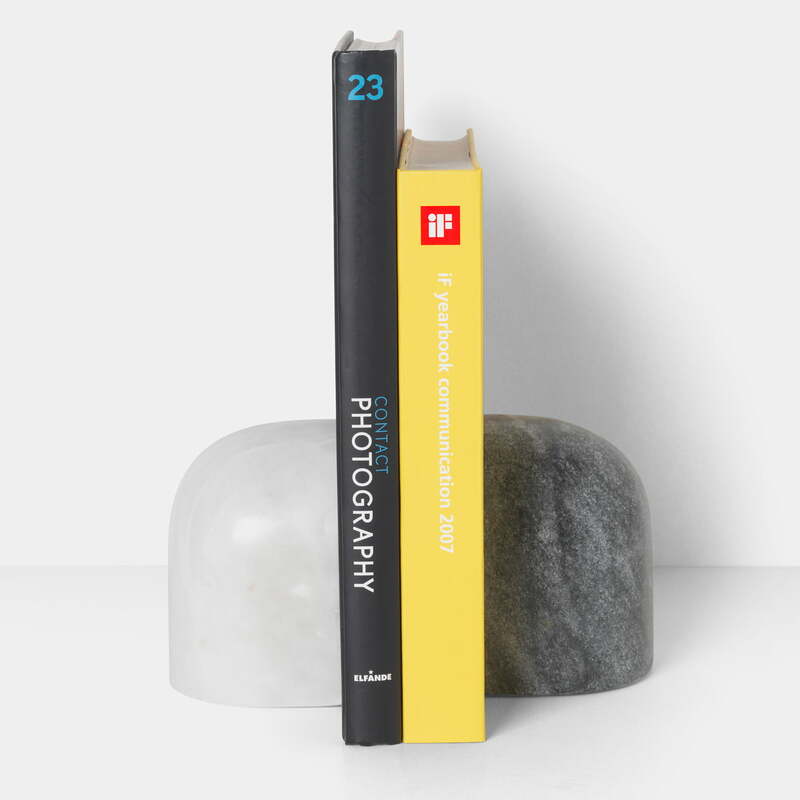 The Luru marble bookends in a set of 2 from ferm Living ensure that your favourite books stay in their place and are presented decoratively. The two bookends, which are two parts of a whole, are made of marble. One half is made of black Selvara marble and the other half is made of Indian Banswara marble in white. The bookends look great on the sideboard in the hallway or on the shelf in the living room. 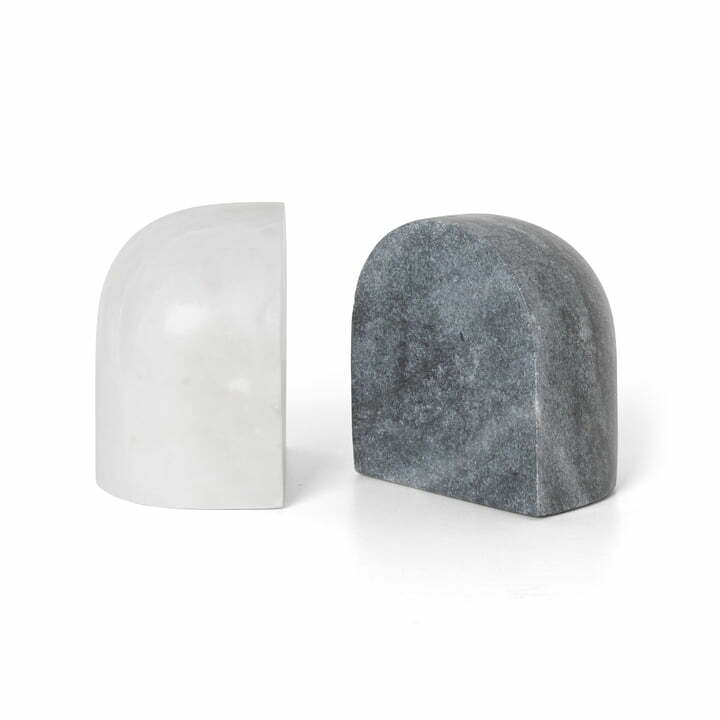 Luru bookend (set of 2) from ferm Living in black / white: One half is made of black Selvara marble and the other half is made of Indian Banswara marble in white. The Luru marble bookends in a set of 2 from ferm Living ensure that your favourite books stay in their place and are presented decoratively. The two bookends, which are two parts of a whole, are made of marble.